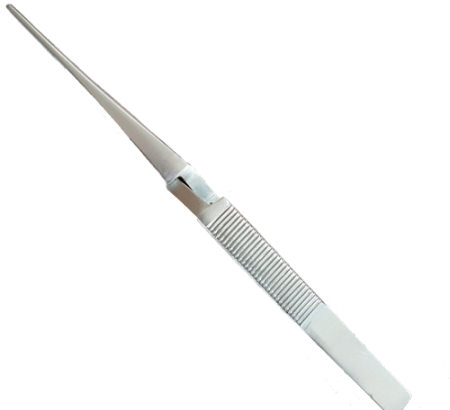 Self-Closing Straight Tip Tweezers. They hold the bee so you don't have to. Perfect for Bee Venom Therapy, they work in reverse. tips are aligned and the tension can be adjusted to the desired pressure. 6 1/2" long.